Below is an excerpt from a statement by the Office of Heresies and Parareligions of the Holy Metropolis of Piraeus, that concludes by describing the Orthodox view of science and the correct interpretation of Genesis 1. True science is a gift of God to man, according to the divinely inspired words of Scripture: "God gave science to human beings, so that we would praise Him for the miracles He performs" (Wisdom of Sirach 38:6). 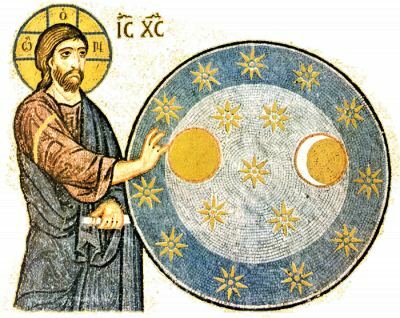 In science is contemplated and studied the amazing harmony, purpose and order of the material universe, and not only does it not distance us from faith, but instead leads every unbiased person in the glorification of God, according to the words of the prophet: "The heavens declare the glory of God; the skies proclaim the work of His hands" (Psalm 19:1). Unfortunately, those captivated by an atheistic worldview and perception do not understand that the divinely inspired book of Genesis is not a scientific, but a theological treatise. The divinely-inspired writer of Genesis, when describing the creation of the world, does not speak scientifically, but in a simple and contemporary theological language. His purpose is to lead the reader into the fundamental doctrinal truths of our faith, that the created world which surrounds us is neither infinite nor self-existent. It is not the consequence of the essence of God, but the result of His will. The universe, as large and endless as it appears, has limits and ends. 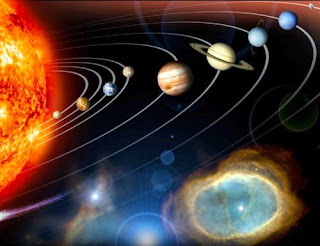 It also has a beginning in time and owes its existence to the uncreated creative energies of a supreme, omniscient and almighty Being, the holy Triune God. The Church is not afraid of objective scientific research that is free from ideological prejudice, the findings of which have never hitherto interfered with its teachings.